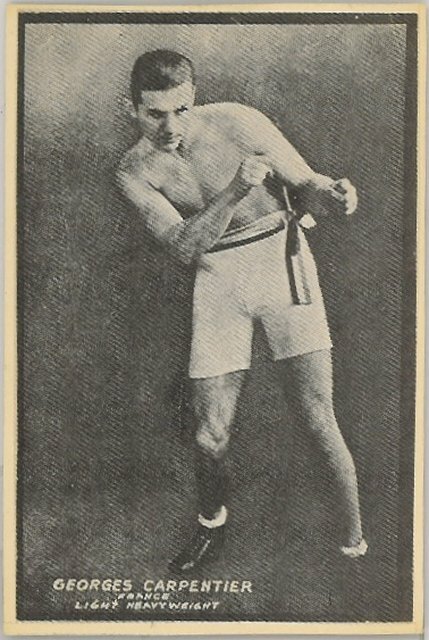 Uncatalogued 1940s arcade card of Georges Carpentier. These cards were issued in Coney Island and sold only at that location. They are quite rare. I have seen a few of them offered over the years. The image was stolen from the Blue Boxers exhibit set.